Friday night Bliss Travels had the pleasure to lead a food and wine pairing. 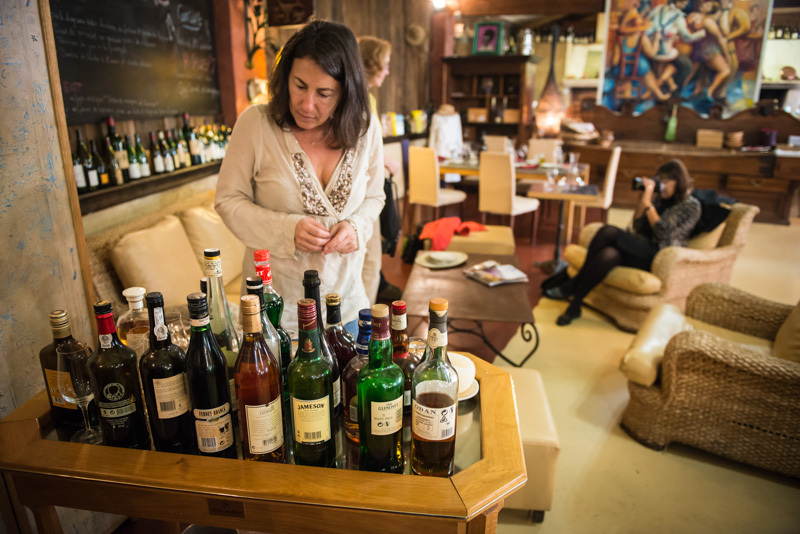 So, off we went to Montclair, New Jersey to meet a great group of about a dozen people to share French wines, stories and photos (courtesy of our photography partner, Anthony Bianciella). We are leading a private one again today! Many of the same wines, but with cheeses this time. Below are some of our pairings and suggestions from these two events. Our two favorites both to visit and to drink. 3. Burgundy, white. A 2008, Saint Veran, Tirage Precoce, Domaine Corsin. This was served with a smoked salmon. The full flavor of the Chardonnay pairs well with the full fatty flavor of the salmon. This Chardonnay also pairs well with Comte cheese. We recommend the Roses from Provence very highly.. The Bandol’s are wonderful (Mediterranean). 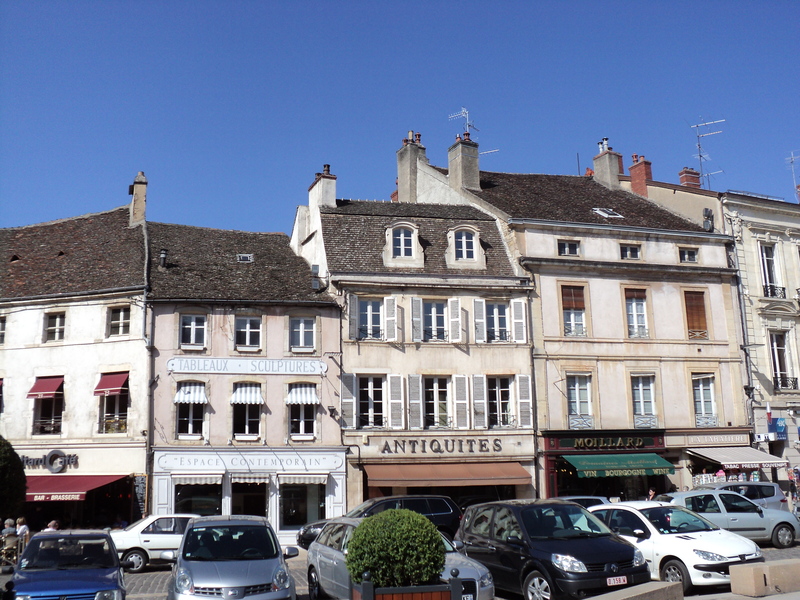 The Tavels (Northern Provence) are a favorite. Every community will have it’s own, and it will pair beautifully with the foods. We paired ours with an Aioli,made using Bliss Travels recipe. It’s a dish we made last May in Provence –and will make again this May when we go with Anthony Bianciella to Provence for our custom spring trip through the region (his photos are here. If you’d like to see more, look at his website). It pairs equally well with our Soupe au Pistou. Click on the link for the recipe and to “see” the lesson. 5. Burgundy, red. 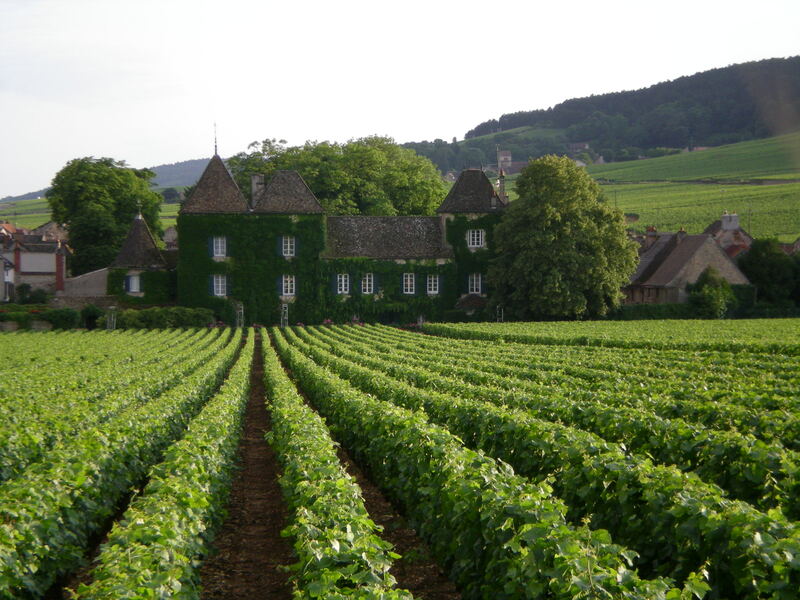 2009 Savigny-Les-Beaune, Les Picotins, Domaine Jean-Luc Dubois. This pinot noir paired with sauteed mushrooms and a light ratatouille. It would have been wonderful with our lamb dish as well. We are pairing this with a hard cheese of Sheep’s milk , and also with St Marcellin. Of course, the best pairings are food and wine, where they exist locally. 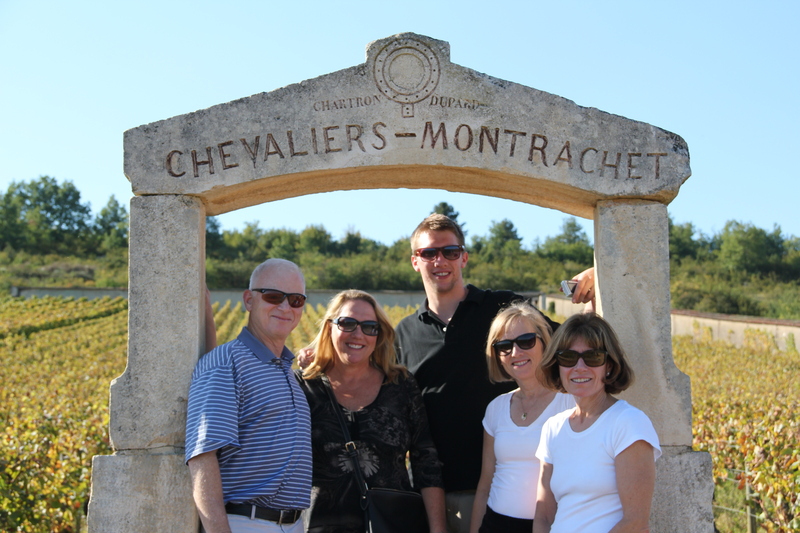 Some of last September’s group to Burgundy. 6. Cotes du Rhone, Red. 2010 Mas de Libiun, Khayyaim. A full bodied Grenache. We served with with a herb encrusted rack of lamb. In Provence, we recommend lamb or even a strong local goat cheese to stand up to this full flavored wine. Coming full circle, this red can be paired with a strong, aged goat cheese, on a fig bread, with a fig confit….All of these items live, grow and are made in the same small towns. Thank you to our wonderful host (and very frequent traveler) Karen! Thank you to Chef Nikko for making dishes to pair with our wines! Want to know more about our trips or learn what our travelers have to say? Read our testimonials. Or contact us at 609 462 6213 or wendy@blisstravels.com. Spring and Summer in France are spectacular!